100% Satisfaction Guaranteed! No mess, no streaking! The small details matter to us and we make sure our customers are perfectly happy with every job. No streaks, no mess, no hassle. Get your home or business windows cleaned on Long Island, NY with Shine Through Windows! Shine Through Windows specializes in year-round residential and commercial window cleaning servicing all of Suffolk Long Island, New York. As licensed & insured window cleaners, we promise fast, friendly and professional window cleaning services to our clients. Shine Through windows have guaranteed lowest price for our Long Island customers. There is no job too big or small for Shine Through Windows. For your free estimate for professional window cleaning or home maintenance services, please contact us via telephone (631) 245-5616. Shine Through Windows is making it easier for our customers to be able to maintain their home directly from our website. 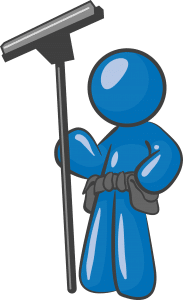 Stay tuned for scheduling, promotional pricing, and purchase options for your residential and commercial window cleaning services in Long Island.